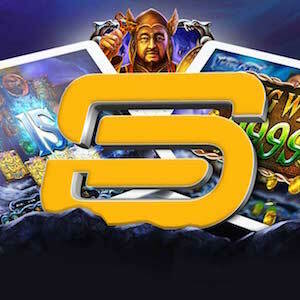 Gamblogger: Play for a $4,000 Prize Pool with Tiger's Claw Race Party at Tangiers Casino! Play for a $4,000 Prize Pool with Tiger's Claw Race Party at Tangiers Casino! Starting September 24th, join the Tiger's Claw Race Party at Tangiers Casino to play for a $4,000 prize pool, with prizes all the way to fifth place. In what is sure to be an exciting race party, the players with most points at the end of the tourney timeframe are set to walk away with some very real rewards! Races run every day starting at 2pm between 24 September and 7 October. You are invited to join the Tiger's Claw Race any day at 2pm while the tournament is running. You can monitor your progress right from the game interface, with remaining spins, time remaining and points scored appearing on screen as you play! Whoever collects the most at the end of the promo will bag a whopping $1,500, with $1,000 for second place, $750 for third place, $500 for fourth and $250 for fifth place winners. "Races are a fast-paced and fun way to enjoy casino slots, with some very tempting rewards on offer," Tina Wales, Tangiers Casino spokesperson said. Races are held hourly, around the clock and each varies in style, rewards, minimum bet and theme, but all award points which accumulate on the leaderboard to determine the winners to be announced Monday, October 8th 01:00:00 UTC +2. Races are free to join and you must simply accumulate as many points as possible within the allotted time with the limited number of spins available. "This is yet another innovation that Fifth Street Club Members get to add to their game arsenals, and they’re proving highly popular with slots fans the world over," added Tina. Fifth Street is the company that provides gamification technology to Tangiers Casino and many others, which includes VIP systems, tournament systems, rewards systems and numerous improvements to their members' existing technologies, which results in improved gameplay, increased excitement, more reliable, quicker payment systems and an altogether better customer experience. Another benefit of slots Races is the ability to score for losses as well as wins! Every win is worth ten points, with thirty points for three consecutive wins and forty points for three consecutive losses! Those who make a big win of at least ten times their original bet will receive a massive 300 points to help them secure a place on the Tiger's Claw leaderboard!